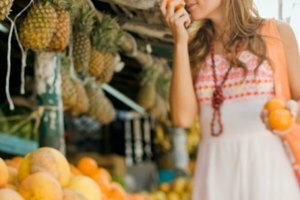 Grapes and grapefruits, although both types of fruit, are very different. Grapes are small, sweet and grow in temperate climates, whereas grapefruits are larger, tart and grow in subtropical areas. Grapes are used in a variety of ways, from wine making to drying for raisins, but grapefruits are mostly juiced or eaten fresh. Both are nutritious in different ways and can be part of a healthy diet for most people. Grapes are small, berry-like fruits that have smooth skins and a whitish bloom. They can have seeds or be seedless. 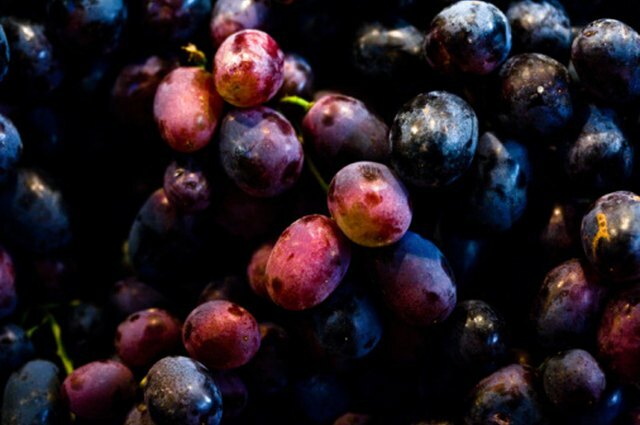 There are three main varieties: table grapes, which are for eating out of hand and can be green, red or purple; wine grapes, which are used for making wine; and raisin grapes, which are used for drying into raisins. 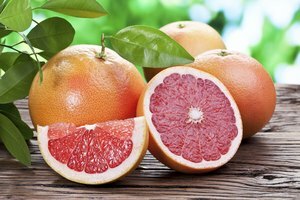 The grapefruit is a large citrus fruit that was first grown in Florida in the early 1800s and thrives in the state's subtropical climate. Grapefruits are tart and tangy yet slightly sweet. They are usually between 4 and 6 inches in diameter and come in white- and pink-fleshed varieties. They are available year round but are in season from winter to early spring. 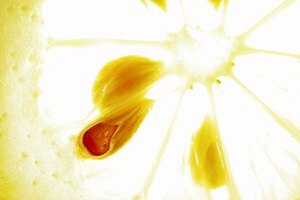 Grapefruit is best eaten fresh, out of hand or juiced. You can add it to salads along with sweeter elements such as berries, or use it in a citrus cake or sorbet instead of orange. It can also be used in a sauce to accompany chicken. Grapes can be eaten fresh, used to make wine or juice or dried to make raisins. Fresh grapes are wonderful when added to salads along with tangy cheese to complement their sweetness. 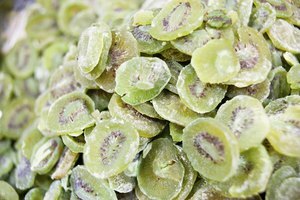 You can also freeze them and eat them frozen for a simple, refreshing snack in the summer. Many people have heard that drinking wine can offer some benefits to the heart. But according the Mayo Clinic, grape juice and grapes can have the same beneficial effects. Certain antioxidants in red and purple grapes, particularly one called resveratrol, relaxes blood vessels, allowing blood to flow more easily and reducing the risk of heart attack and stroke. Red and purple grapes may also help reduce "bad" cholesterol, reduce the risk of blood clots, prevent damage to blood vessels and help maintain healthy blood pressure. Grapefruit is an excellent source of vitamin C, with almost one day's worth in a serving. It is also a source of fiber, potassium and vitamin A. However, people taking certain drugs should avoid eating grapefruit or drinking grapefruit juice. According to the Mayo Clinic, grapefruit interferes with the enzymes that break down certain medications, which means that too much can stay in your system and build up to toxic levels. Check with your physician before consuming grapefruit in any form.